Our goal with the development of the TC range was to do the impossible: engineer a multi-usage acoustic system, for both side-wall and top Surround sound source, into the lightest and most compact speaker ever. That meant reimagining every element to make it not only lighter and stronger but also better. 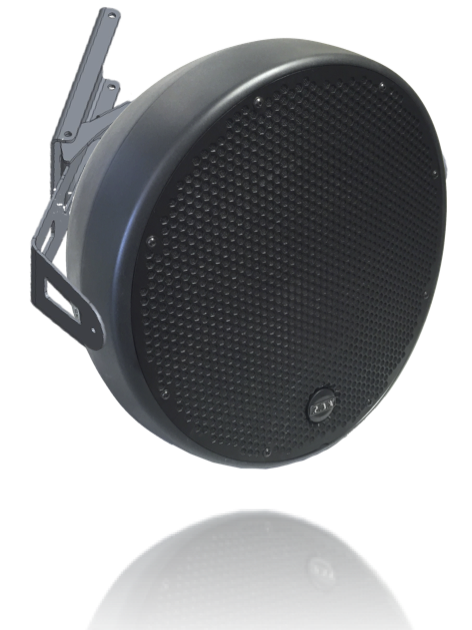 A powerful 2" Ø MF/HF driver mounted independently as a Coaxial into a highly efficient 12" Ø woofer. 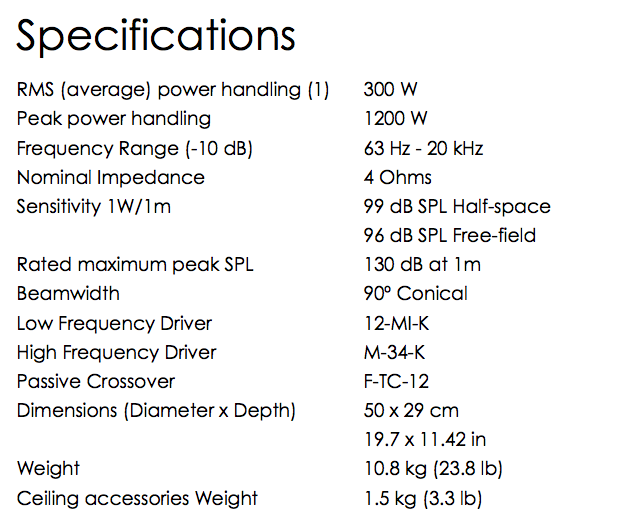 The number of speakers being more and more important, our choice was to bring on the market a speaker running under 4 Ω in order to use lower power amplifiers. 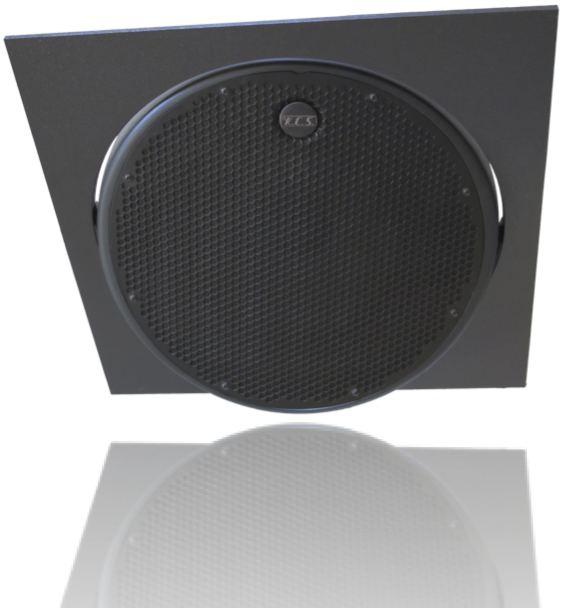 For instance a KCS C-900 is able to supply sufficient power to the speaker to get the maximum output required.